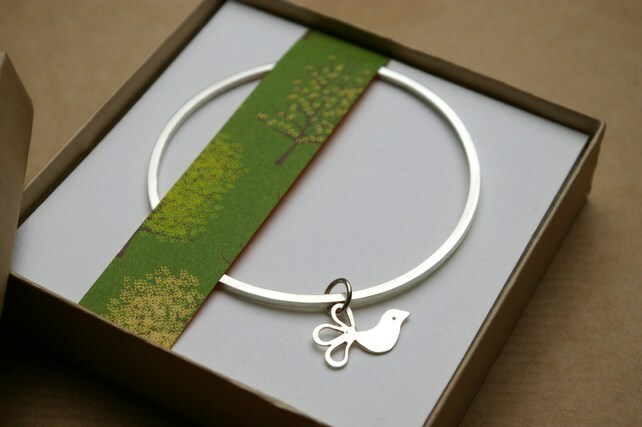 There are two products to choose from in my bird range silver bangle section. I have a single bangle with a single bird charm as well as a double bangle with both a bird and a birdhouse charm. 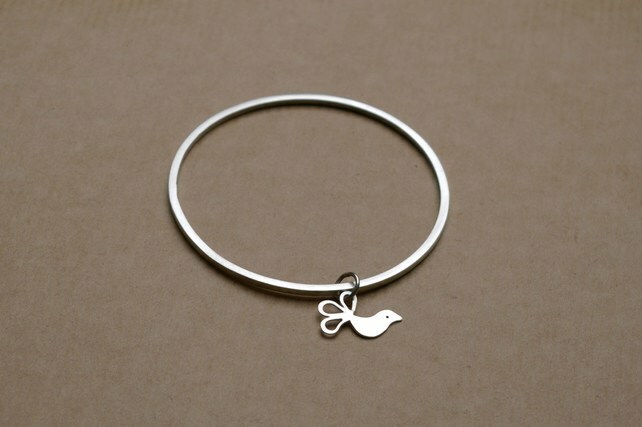 Single silver bangle with a small, silver bird charm. 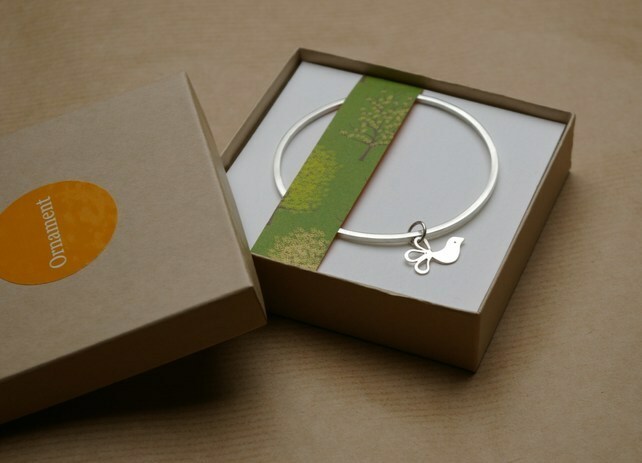 The bangle is made from hammered 2mm silver wire and is available in a matt or polished finish. Please state a preference when ordering. 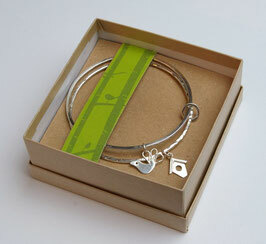 - all of my jewellery is sent in a beautiful presentation box. 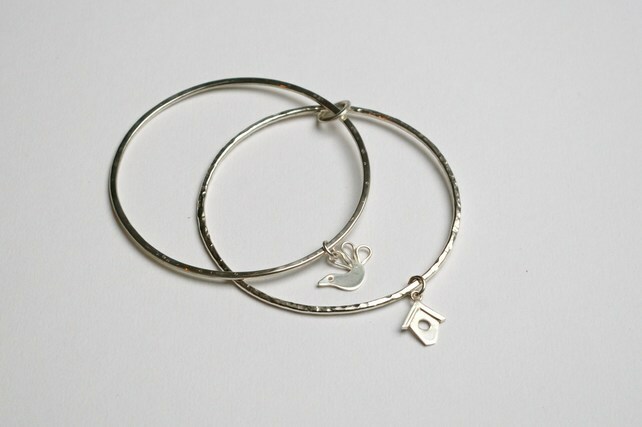 Two silver bangles with handcrafted birdhouse and bird charms. The bangles are made from 2 mm round hammered silver wire and they are held together by a silver ring.